Whenever I hear that one of our Real Weddings took place at a historic plantation, I’m instantly excited to see it! Maybe it stems from my love for Gone with the Wind or the amazing antebellum homes of Mobile that I grew up visiting. Either way, they’re so Southern, and completely romantic! Page and Blake chose to tie the knot at the beautiful Pebble Hill Plantation, and just as I suspected, Pebble Hill was the perfect backdrop for their big day! I know Emily (who had a tented reception herself!) would be equally smitten with their classic white Sperry Tent and twinkle light combo! We’re so happy Harwell Photography was on hand to capture this lovely day! Describe your wedding flowers. I wanted something simple, elegant, and in all soft colors. We had a great florist who brought my vision to life. My bouquet was full of white and ivory peonies, seeded eucalyptus, and dusty miller. Tell us about finding your wedding dress. I was lucky to have had a stress-free experience, and I tried on around ten dresses total. I knew that I wanted something strapless and lace, and once I found one that I loved, I didn’t hesitate to say yes to the dress! We had a first look, and I am so glad we did. We wanted to have a special moment together, just the two of us. It was also less stressful getting a lot of pictures done beforehand, so we didn’t keep all our family and friends waiting! Did you write your own vows? If so, what was your favorite phrase, verse or line? We decided on traditional vows. We asked our former teacher and good friend to perform the ceremony, while one of Blake’s groomsmen led a prayer. Having a Christ-centered marriage is very important to us, so we had Ephesians 5:25 and Isaiah 61:3b read: “They will be called oaks of righteousness, a planting of the Lord for the display of his splendor.” This verse went perfectly with our ceremony under the giant oak tree! Our favorite detail of the wedding was: One neat detail was the horse and carriage we had waiting at the end of the aisle to pick us up after the ceremony. Riding it gave us the chance to be alone together in the moments right after becoming husband and wife. We wanted to remind each other to enjoy every minute, knowing the night would go by fast! It was also our getaway “car,” which was so fun and unique. At the end of the night, we were able to ride around the property for a little bit, already reliving every minute of the day! It was magical. Our food was very Southern, and it was a hit! We served watermelon salad with candied pecans, quail with tomato jam, fried green tomatoes, and pimento cheese sandwiches. We had several food tables that featured seafood, beef, poultry, and a cheese display with local honey and berries. Our caterers made each table look beautiful and put a lot of effort into making great-tasting food! Towards the end of the night, we surprised our guests with a snack of chicken and biscuits. We are blessed with awesome family and friends. With our wedding being out of town for many of our guests, we were blown away by how many people traveled to the South to celebrate with us! Our band had us come to the stage to thank all of our guests for being there. I will never forget that moment, and I’m so glad I had the chance to slow down and take that in. It reminded us how much love and support we have from everyone. How did y’all meet? Tell us your love story. I was a sophomore and he was a junior… yes, we are high school sweethearts! We were both trying out for the musical that year, and I am pretty sure I got butterflies the first time he talked to me. Later, he sent me a Facebook message asking for my number, and soon after that, we started dating. Tell us all about the proposal! The proposal was very much a surprise! Blake took me back to the theater at our high school, which is where we met and our story began. I walked in and he was standing at the bottom of rose petal-lined steps, and the stage was decorated with pictures from our time together. We were so excited and filled with emotion! Both of our families were there to celebrate with us afterwards. I felt so special seeing all the thought, time, and love he put into making his proposal so memorable. What made you choose your ceremony and reception venues? Did they have any special significance to you? Many of my family members are in Thomasville, and I’ve spent every Christmas there, so I knew it would be the perfect location to get married. We chose Pebble Hill Plantation. We held our ceremony under the oak tree, and it fit the vision I had pictured for our wedding day perfectly! We opted for a tent for the reception, which was just steps away from the ceremony site, and kept everyone cool. Tell us about some of the songs you used throughout your wedding and why you chose them. Blake chose all of our songs, which I loved, because it was one less decision I had to make! He chose “Canon in D” for me to walk down the aisle to–we loved that it was traditional and beautiful. Our first dance was “Can’t Help Falling In Love With You” by Elvis Presley. Blake is a big Elvis fan, and it was perfect! Did you have something borrowed, blue, old, and new? If so, do tell! My something borrowed/old was my great-great-grandmother’s pin, which I attached to my bouquet. All of the women in my family had it with them on their wedding day, so it was pretty special. My something blue was my garter and my something new was my earrings. What advice do you have for folks currently planning a wedding? Many of your family and friends will want to help with planning and day-of things, so don’t hesitate to ask for help. It will make your wedding day a lot less stressful if you don’t have to worry about last minute decisions or details. Don’t forget to take time on your wedding day to slow down and take in all the details that were your vision for so long. Most importantly, remember that the day is ultimately about the two of you becoming one, so don’t sweat the small stuff! What’s next for you as a couple? What are you most looking forward to about married life? We just got a place together in Nashville and are in the process of making it our own. We are just excited to do everyday life together! It is so wonderful to have someone to go through life’s ups and downs with and to have a constant companion and supporter. Harwell Photography is a delightful member of our Blue Ribbon Vendor Directory! LOVE their first look image!! What a gorgeous wedding! This is such a lovely and sweet style. Thanks for sharing! Such a timeless wedding! I love every detail, from the colors to the bride’s shoes. Fabulous! What a beautiful wedding! I just love the bridesmaid’s dresses! Would you mind sharing who the designer is? I’ve fallen in love and would really like them for my wedding! I love your chalkboard! I was wondering where you got it!? Hi! So I’m wondering where you got your bridesmaids dresses! Southern Weddings reserves the right to delete comments which contain profanity or personal attacks or seek to promote a business unrelated to the post. And remember: a good attitude is like kudzu – it spreads. We love hearing your kind thoughts! We all know that the weather here in the South is unpredictable, to say the least–especially in Florida! After it rained for two days straight, Victoria and Marcus’ outdoor ceremony and reception at the Pebble Hill Plantation had to be moved indoors. With Mother Nature throwing a wrench in your wedding plans like that, it can be easy to get bogged down and frustrated. But, what could have dampened (pun intended!) these lovebirds’ plans instead helped craft one of Victoria’s favorite wedding day memories! She said marrying the man of her dreams in the unpretentious and charming chapel, jam-packed with their family and friends, was both genuine and incredibly beautiful. I must say, their rain plan ended up mighty lovely! Big thanks to Chelsey Boatwright for sharing such a sweet day with us! Four generations of women in my family came with me to look for the dress–from my grandmother to my four-year-old niece, Cassidy. While we didn’t have any luck that day, I got a feel for what I was looking for. I began searching online and found a dress that was perfect! The only shop that carried it was in Jacksonville, a four-hour drive from my home in Tampa. I convinced my fiancé to make a pit stop on our trip to Savannah and sit in the car while I tried it on one Friday afternoon. I loved it so much that I had my mom drive from Tallahassee just to see it. The staff at the White Magnolia were absolutely wonderful to work with. Luckily for me, they decided to open a shop in Tampa soon after I ordered the dress, so all of my fittings were very close by! Marcus and I decided not to do a first look. Our families are very traditional, and we didn’t want to take that moment away from those we love, who really wanted to see it. It was one of the best decisions we made for the big day. Everyone was on pins and needles when the church doors opened and I walked in. I looked at Marcus and he was in tears…along with the entire room, who was watching our moment together. It was priceless. Describe your wedding flowers. We wanted something that looked romantic and timeless. My colors were white and gray, but our florist convinced us to use a bit more color. He came up with some beautiful, natural arrangements, and was an absolute pleasure to work with. He was very creative and took charge of decorating an entirely new venue, just two days before the wedding. What made you choose your ceremony and reception venues? Did they have any special significance to you? The decision was pretty difficult, and ultimately, we chose Pebble Hill Plantation for its simple beauty. We planned to have the ceremony and reception outside by the stables, but God had other plans for us. It rained for two days straight before the wedding, so we moved the ceremony to a local chapel down the street, and the reception to Uno Barn on the Pebble Hill property. It turned out better than we could have ever expected. What was your most memorable moment about your wedding day? Saying my vows to the man of my dreams. The chapel was very unpretentious and charming, and we had tons of friends and family crammed into it. It just felt so genuine and unassuming, while also being incredibly beautiful. It felt like we had stepped back in time. What advice do you have for folks currently planning a wedding? Don’t be crazy! Stay flexible, remember what is most important, and give people the space to do their jobs. I think that our wedding was so successful because we gave our vendors a vision without micromanaging them. We allowed them to use their creativity to do what they do best! With the rain situation, all of our original plans went out the window. I was so happy that we all kept our heads on straight and figured out how to make it work, without over-stressing about something we couldn’t help. 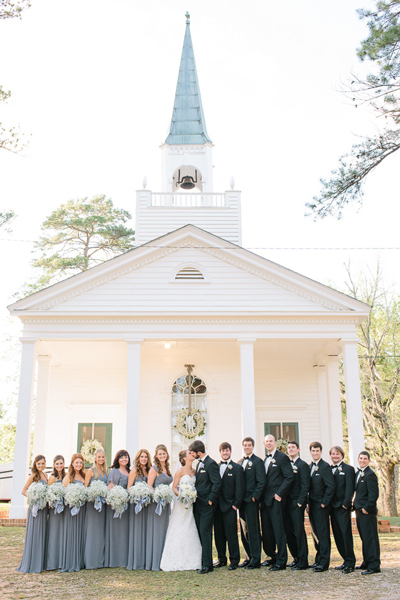 After choosing to get married at a plantation, we took its Southern charm and ran with it! The most Southern aspect of our wedding was probably the menu, which started with a fried green tomato appetizer. Then we moved to the main course, which was fried chicken, macaroni and cheese, grilled pork tenderloin, roasted seasonal vegetables, and homemade biscuits with fig preserves and mayhaw jelly. Then, there were pecan bars for dessert! How did y’all meet? Tell us your love story. We met as freshmen at the University of Florida in 2007. Marcus, a new member of Sigma Alpha Epsilon fraternity, volunteered to pick up a group of girls from the dorms one night for a party, and I was one of those girls. We quickly became friends, but it wasn’t until a few years later (and a great deal of persistence on Marcus’ part) that we began dating. We became inseparable and enjoyed everything from Gator game days and Greek social events to weekend beach trips and travel adventures. Tell us all about the proposal! It was our three-year anniversary, and all I wanted was a romantic surprise date. Honestly, I wasn’t sure he was going to pull it off; little did I know just how surprised I would be! We started driving to the middle of nowhere, and when we pulled up, Marcus explained that we were at Swallowtail Farm, a farm-to-table restaurant in High Springs, Florida. We walked around the property, and I noticed a table for two in the middle of a gorgeous garden. I was shocked…and a little embarrassed that Marcus went through all of the trouble, just to fulfill my silly request for an over-the-top date night! It was absolutely beautiful. I didn’t realize what he had planned until he started pouring the champagne and I noticed his hands were shaking. Just as I was about to ask him what was wrong, he dropped to his knee and asked me to marry him. It was the most special moment of my life and I, of course, said yes! We laughed and hugged, and then I saw Lanier, Marcus’ sister, and a family friend, Brittany, waving from a barn. They had taken pictures of the whole thing! Then, Marcus told me he had another surprise. We walked along the trails of the farm and meandered over to the farmhouse. I assumed we were going to eat dinner, but then I realized that he had invited our family and close friends to celebrate with us! Describe your wedding cake or dessert. We had a small wedding cake (pound cake) as well as mini red velvet and chocolate peanut butter cupcakes and pecan bars. The groom’s cake was a giant alligator wearing a construction hat (we are Gator fans, and Marcus works in construction management). What was one way you saved money or cut costs at your wedding? We chose not to give out favors. We wanted folks to enjoy the open bar, live music, great food, and safe transportation, and felt a parting gift was an unnecessary expense. $2 koozies for 220 people adds up fast! What is the one detail or vendor that you were so happy to have as a part of your wedding? The dynamic Thomasville Trio: our florist, Ram Singletary, our caterer, Jeanie Bracey, and our day-of coordinator, Emily Beeson. They work with each other on a regular basis, and they made planning our big day so fun and easy. Ram’s passion for all things beautiful coupled with Jeanie’s energetic attitude and Emily’s attention to detail made our day stress-free and even better than expected. 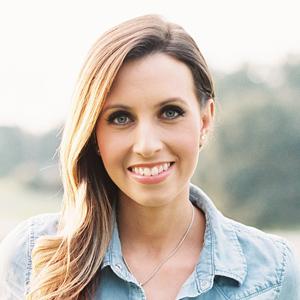 We also really enjoyed working with our photographer, Chelsey Boatwright. She was my childhood babysitter who was gracious enough to drive up from South Florida to be a part of our big day! What’s next for you as a couple? What are you most looking forward to about married life? We have settled in together in Tampa, Florida and are looking forward to celebrating many of our friends who plan to get married soon. We are most looking forward to spending more time together and creating new memories with each other as a couple. I am also still excited about getting used to a new last name! So excited to see this amazing wedding featured today! Love the bridesmaid dresses and the huge bouquets of baby’s breath! Everything you need to know to spend, save, and celebrate your wedding! Download your FREE 26-page guide.